“If we are talking about celebrating women, we have to celebrate (diversity) as well’’ - says model Alek Wek, who fled her native South Sudan to spread messages of peace, positivity and progress to the rest of the world. Dazed’s spring/summer issue is out internationally now. 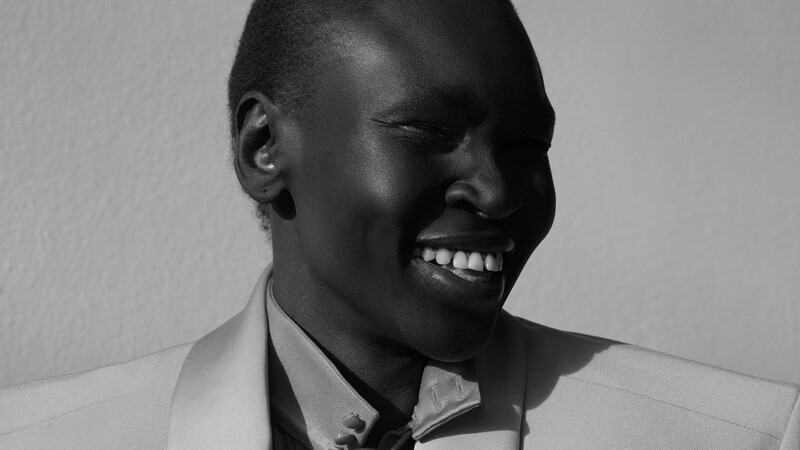 Alek Wek has the kind of smile you can hear on the phone. She’s raving about the brilliantly diverse cast at Marc Jacobs AW17, the magical moment that was Dries Van Noten’s age-inclusive 100th show (“We were looking at each other like it was a high-school reunion!”) and the fact that so many models from her generation are back. We have a long way to go in terms of diversity, she says, “but the dots are finally starting to connect”. Wek is as electrifying as the day she arrived in fashion. The embodiment of haute couture and all that is beautiful, she was scouted at 18 in 1995 while studying at the London College of Fashion, and found herself shooting with Steven Meisel before opening and closing Ralph Lauren SS97 as a newcomer. Boom. There were other successful black models at the time, but none who looked like Wek, the first African model to land an Elle cover. Her images with Irving Penn and Herb Ritts (that oiled-up Pirelli shoot with baby radishes for a mohawk) along with Wek ripping off her blonde wig on the runway at Betsey Johnson are the stuff of trailblazing fashion legend. But Wek’s most important work has perhaps been as an activist and ambassador for the UN Refugee Agency, which she praises for drumming up ways for people to get involved and help raise funds to feed and shelter refugees. “It has not calmed down at all there,” she says of her home country of South Sudan, its famine and the way women and young girls are being violated by men. She’s also worked with the H&M Foundation, a project that has raised millions for refugees. Above all, she is incredulous that we’re even discussing whether or not we should help refugees. “There’s nothing political about being a refugee,” she says. Wek was five when civil war broke out and South Sudan life became strictly about survival. Forced to leave their home when local police ran out of ammunition to ward off the militia, her family escaped into the bush with what little they could carry, foraging for foods that were safe to eat and selling salt to buy passports. All this with a father too ill to walk, who died before they could make it out of the country. “It’s difficult for me when I hear certain individuals in the media describing refugees as criminals or thugs. And we’re talking about children, women, old people – the most vulnerable of the vulnerable. They don’t want handouts. I have cleaned BBC Radio toilets to put myself through school, waking up early every morning before I could go to class,” she recalls of coming to the UK as a teen via her sister who was already there. 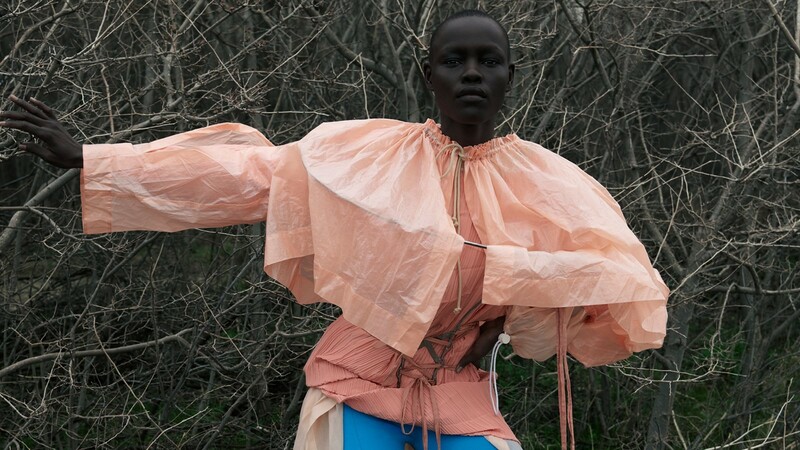 There’s an energy field around Grace Bol. Her editorial work balances pure, magnetic power and poised cool, the kind of presence you either have as a model or you don’t. After being discovered at the age of 19 at a mall in her hometown of Kansas City, Missouri, her first local modelling gigs quickly led to fashion proper. “Coming into fashion, I loved it. I get to travel, I get to meet different people, different cultures. I love adventure, exploring the world, different cities, countries, wildlife,” she says. Bol is on the phone from her agency in New York, recently back from Paris where she capped off another strong season walking for Marc Jacobs, Gareth Pugh, Balmain, Loewe and Haider Ackermann. Over Christmas, she visited family in her native Sudan. 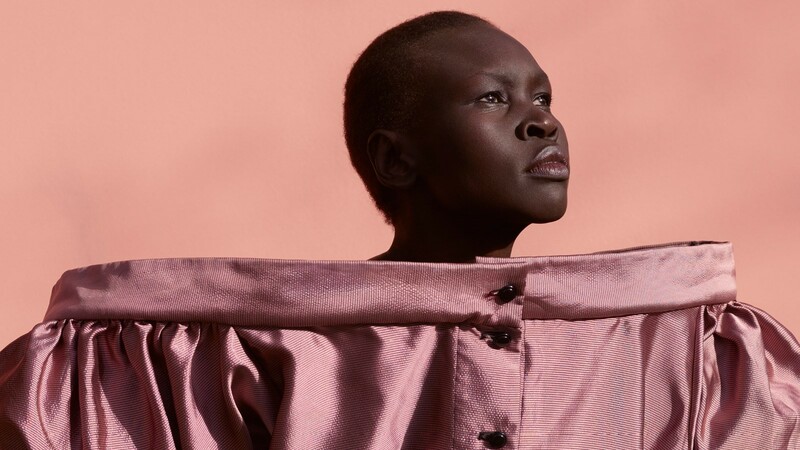 Like fellow South Sudanese model Alek Wek, she fled the country because of civil war, coming to the US with her family at the age of “eight or nine” through a UN camp. As a child in a war-torn country, was Bol aware of what was happening around her? “I saw a few things, but our parents did everything to keep us away... They distracted us, and we were very happy as kids even though we were in the worst place. They made us feel like we were in the best (place).” During her last visit to the country, she says that she saw a lot of change. Who are her own role models? “Michelle Obama. She’s strong, she’s smart, she’s always been about unity and... I don’t know, I love everything about her,” she says. It’s too bad, I offer, that the current White House occupier seems beyond reasoning with.